The installation of Thelia is easy with the use of Softaculous auto-installer. You will be able to complete that process with a few clicks through your cPanel account. To access the Softaculous auto-installer, you will first have to log into you cPanel account. Then you need to locate the Software/Services section and click on the Softaculous icon. Once you access the Softaculous auto-installer, you will be taken to a list of all scripts it offers for free installation. They are categorized by their functionalities on the left side of the screen. 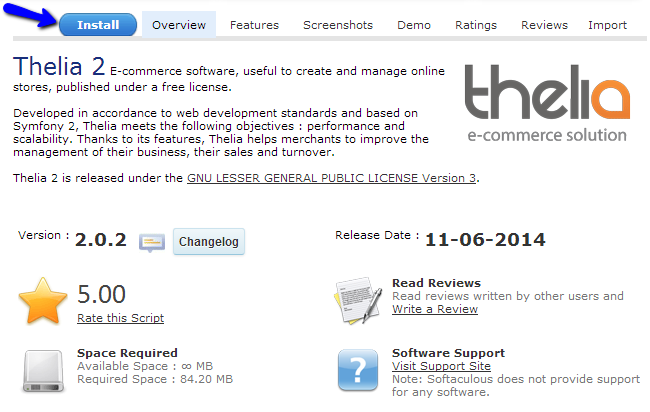 Thelia is an E-Commerce software so you need to locate that category and expand it. Then, click on Thelia 2. You will be taken to a brief description about Thelia 2, the current version of the script, rating and much more. You will also be allowed to test a live demo of the script, which will provide an inside look on how Thelia works. If you are happy with the script and you wish to use it for the development of your website, simply click on the Install button at the top. 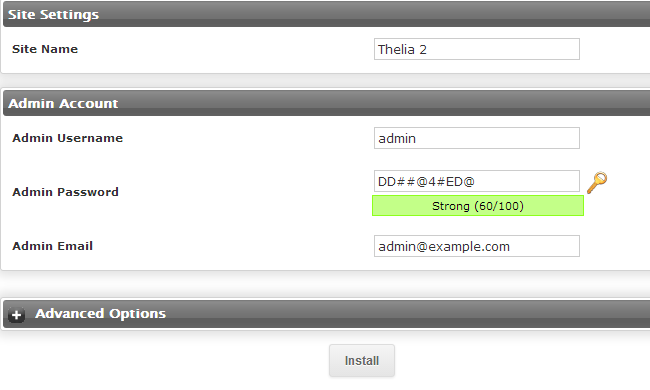 Once you are ready with the details for your new installation of Thelia, simply click on the Install button to proceed. The system will complete the rest of the process automatically for you. The installation of Thelia on your account is now completed. You will be presented with direct links to the front and the back end of your website. Keep this information safe as it will allow you to manage your website from now on.